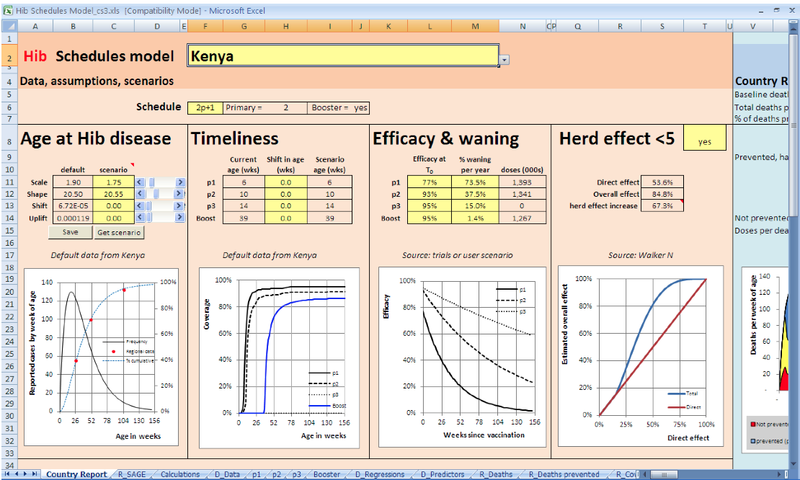 In collaboration with WHO and CDC, researchers at LSHTM have developed two vaccine schedule decision support models. The first evaluates the potential health benefits and side-effects of rotavirus vaccination for schedules with and without age restrictions, and the second evaluates alternative Hib conjugate vaccine schedules. Both models track a cohort of children from birth to 5 years of age and generate estimates of the direct effectiveness of vaccination. These are calculated by applying estimates of vaccine efficacy (which vary by dose and time since vaccination) and coverage (which vary by age) to age-specific estimates of disease mortality. An important feature of the model is that very fine age intervals (weekly up to 1 year, and monthly thereafter) are used for the distributions of age at vaccination and at disease or death. This allows for more precise estimates of the direct effects of different schedules than would otherwise be possible. Each vaccine is currently evaluated independently. In reality many vaccines are administered at the same age, and to help answer questions about combined schedules future analyses will need to address this point. 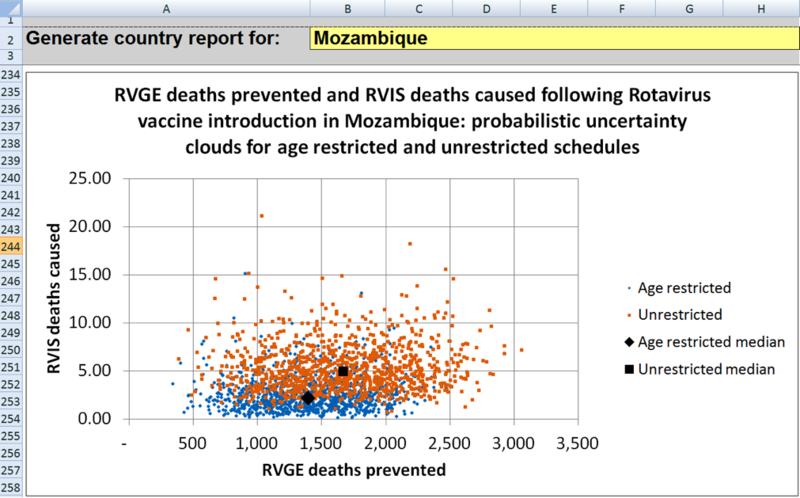 This model estimates numbers of deaths prevented by rotavirus vaccination and the numbers of excess intussusceptions deaths that might be caused by the vaccine. Outcomes can be assessed both with and without the manufacturer’s recommended age restrictions. 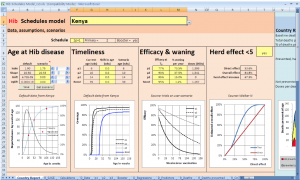 The model includes options for scenario analysis and probabilistic sensitivity analysis. 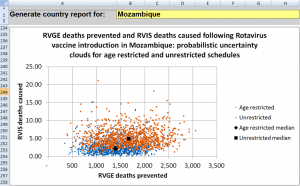 This model evaluates the potential numbers of deaths prevented by different Hib conjugate vaccination schedules. Of particular interest is the comparison of 2p+1 (two primary doses and a booster) and 3p+0 (three primary doses without a booster). The model includes options for scenario analysis, including the sensitivity of the results to some of the key drivers (e.g. the rate at which direct vaccine protection wanes with time since vaccination). The systematic reviews provide an up-to-date, thorough, yet abridged view of the evidence for selected vaccines and immunization schedules. A three-person management team from WHO, the University of Bern and the London School of Hygiene and Tropical Medicine has been established to ensure that the aims and objectives of the project are met.